Salt Creek pupfish, male, dorsal/frontal view. Photographed at Salt Creek, CA (Death Valley National Park), latitude: 36 deg 35' 29.86" N and longitude: 116 deg 59' 36.68" W. Date: 4/10/2009. Photo by Rian K. Long. 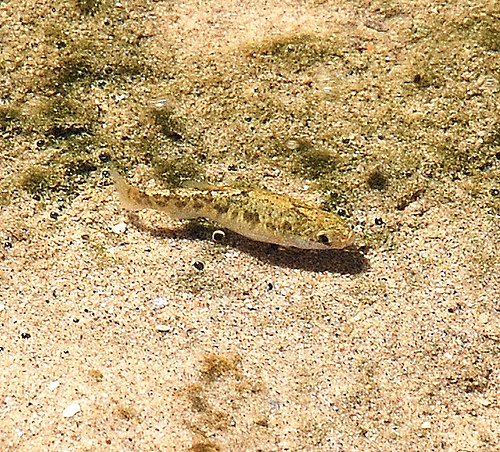 Salt Creek pupfish, female. Photographed at Salt Creek, CA (Death Valley National Park). Date: 4/18/09. Photo by Dr. Cynthia S. Shroba, College of Southern Nevada. Salt Creek pupfish, male. Photographed at Salt Creek, CA (Death Valley National Park). Date: 4/18/09. Photo by Dr. Cynthia S. Shroba, College of Southern Nevada. Salt Creek pupfish, group. Photographed at Salt Creek, CA (Death Valley National Park). Date: 4/18/09. Photo by Dr. Cynthia S. Shroba, College of Southern Nevada. 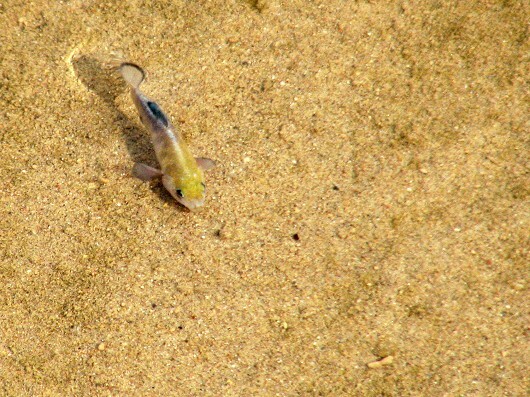 Salt Creek pupfish are found exclusively in the Salt Creek drainage of Death Valley. One 1.5 km section of stream is perennial and the amount of habitat available grows with increased rainfall. Conversely extreme rainfall events such as flash floods may result in high mortality rates. 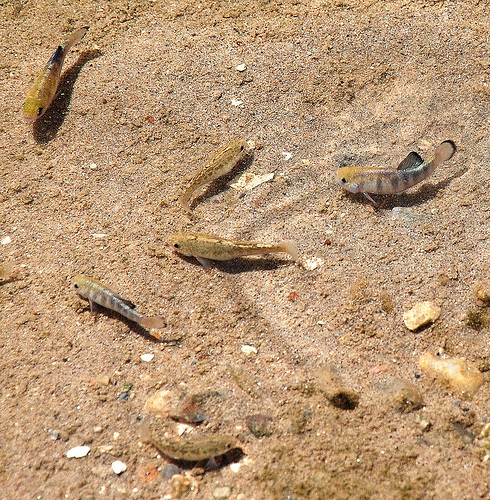 Salt Creek pupfish live primarily in an entrenched section of stream where pools are lined with plants and may be as deep as 2 m. They survive extreme changes in environment and live in water that ranges in temperature from near freezing to 40°C and may have salinities as high as 35 ppt. 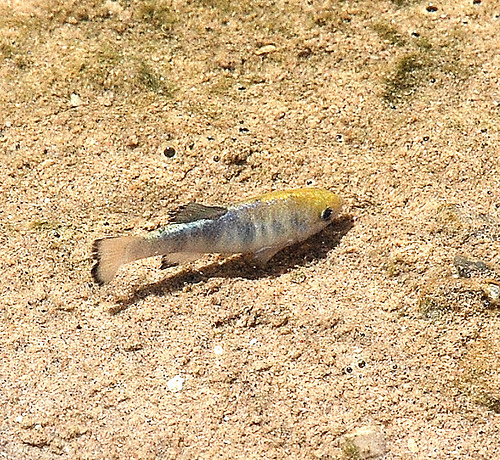 However, pupfish may be able to seek deep parts of pools that rarely exceed 28°C. Salt Creek pupfish feed mostly on algae and cyano-bacteria, but may also consume snails and crustaceans. They are capable of rapid re-colonization and populations may go through drastic changes in a matter or months. Salt Creek pupfish presumably increase population numbers by going through several generations in a year. Breeding habits in these fish are similar to those of the desert pupfish.